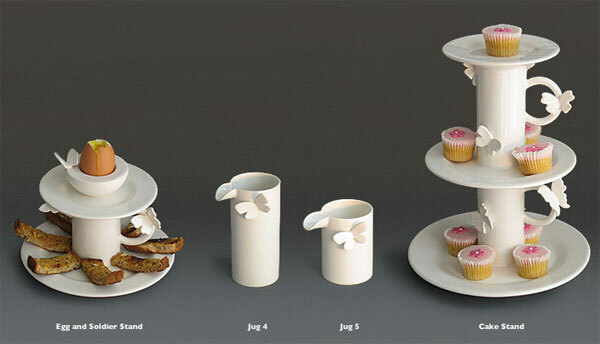 Polly George has some gorgeous ceramic lines designed and made in Kent, which are unlike any other. She’s the designer behind the Mr & Mrs Jones lemon and lime squeezers we’ve seen around for some time. I just spotted the Butterflies series at Oh Joy, and they actually first reminded me of the Mixko rings… Things to pay attention to? 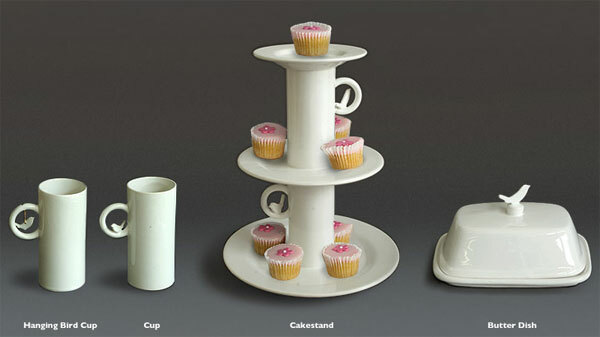 The crazy toast rack, butter dish, adorable egg and soldier stand and cake stand. Also, the site is designed with enormous background images (large like 4500 width)… so some snippets of pieces i liked below, but check out Polly’s site here to see more.